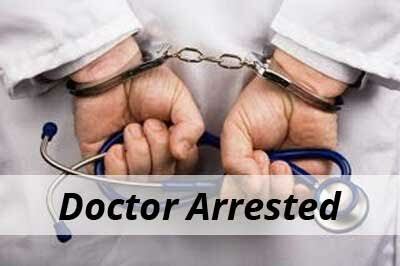 Jammu: A doctor was arrested on charges of molesting a patient at his clinic, police said. The woman lodged a written complaint at the Government Medical College (GMC) police post alleging that the doctor tried to outrage her modesty during treatment at his private clinic at Raishamgarh colony in the heart of the city last night, Sub-Inspector Deepak Thakur told PTI. “The girl also alleged that doctor planed all this and deliberately delayed her turn in clinic to make her to sit in clinic till late evening,” the police officer said. “The girl anyhow ran and got away and contacted her parents. Later, they lodged a complaint at police station Bakshi Nagar today morning,” he said. Thakur, who is incharge of the police post, said a case under section 354 of Ranbir Penal Code (assaulting a woman with intent to outrage her modesty) was registered and investigation set into motion. “The doctor is under arrest. We are verifying the CCTV footage of clinic and nearby establishment to cross check all evidences,” he said.